Available in black only. 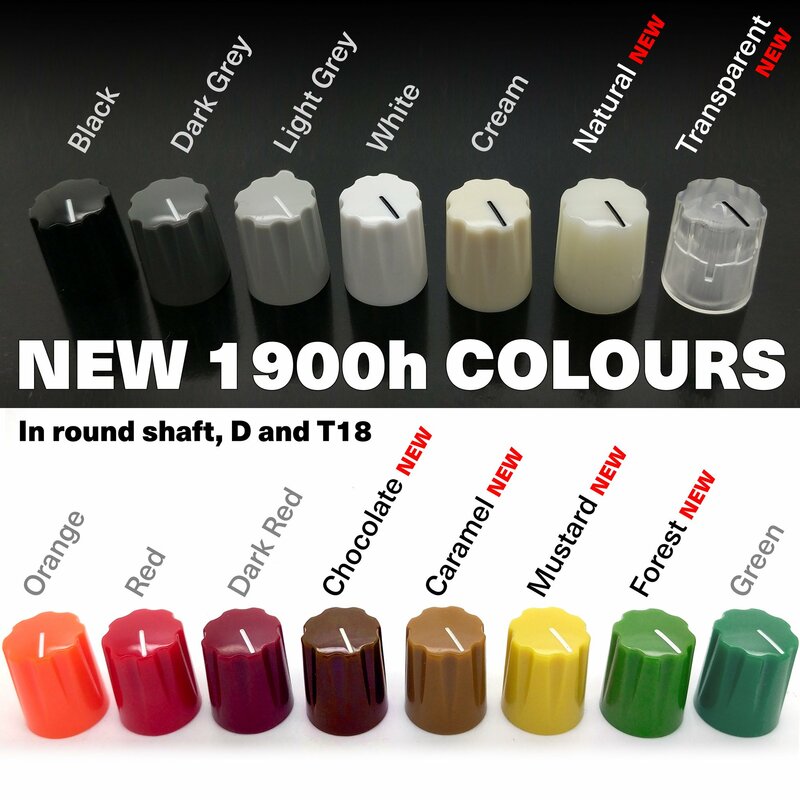 These are genuine Davies Molding parts for 1/4″ or 6.35mm diameter pot shafts. 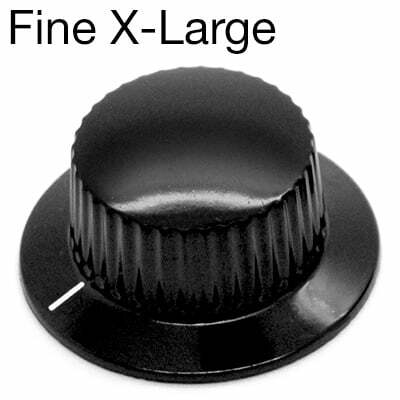 The ‘Fine’ knobs were used on the original Buchla 100 and 200 series. 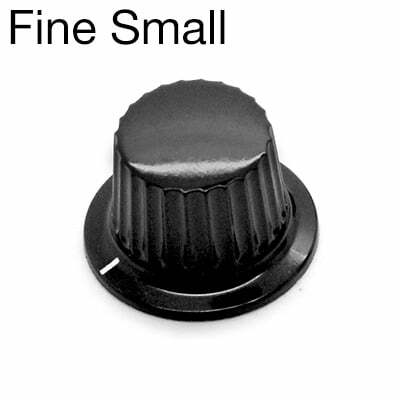 The ‘Fine Small’ knob was used on the Music Thing Modular Spring Reverb kit alongside 1900h knobs. 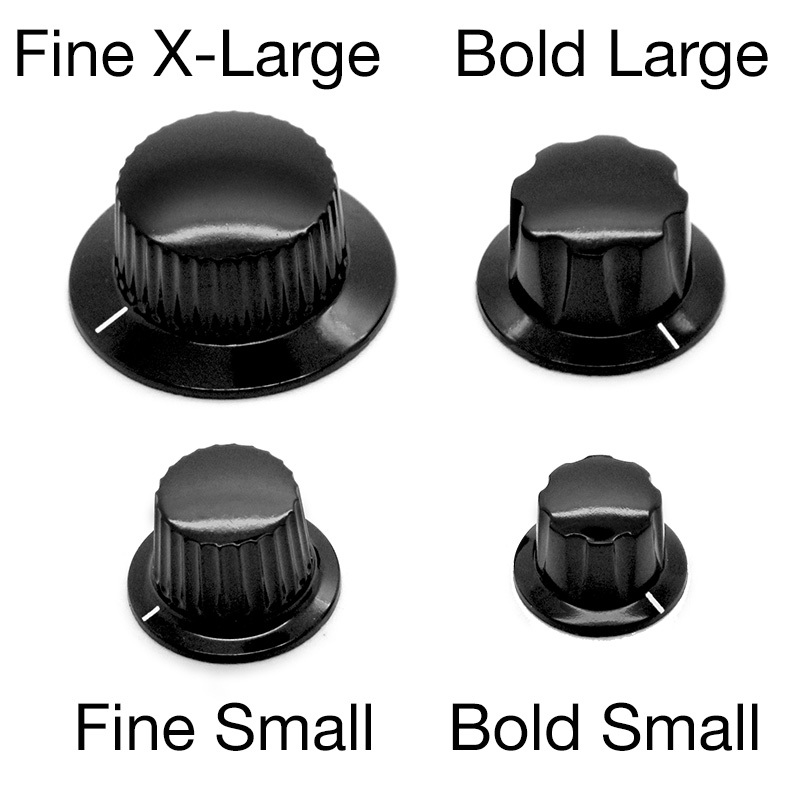 The ‘Bold’ knobs were both used on the Thonk 258J kits alongside 1900h knobs. 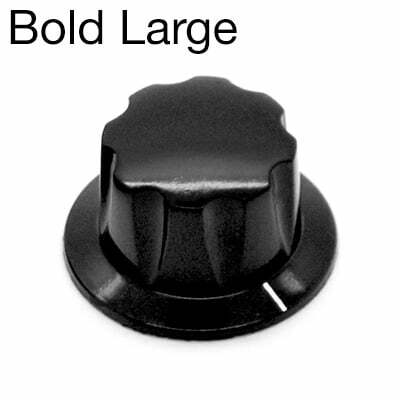 The Bold Large knob is used on later revisions of the Turing Machine Sweeping Arcs Module. 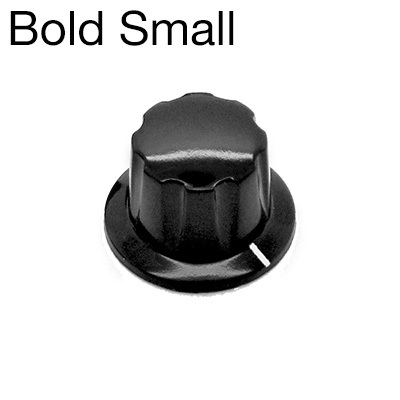 They are also used on the larger Manhattan Analog modules.